It's not too late to become a member. 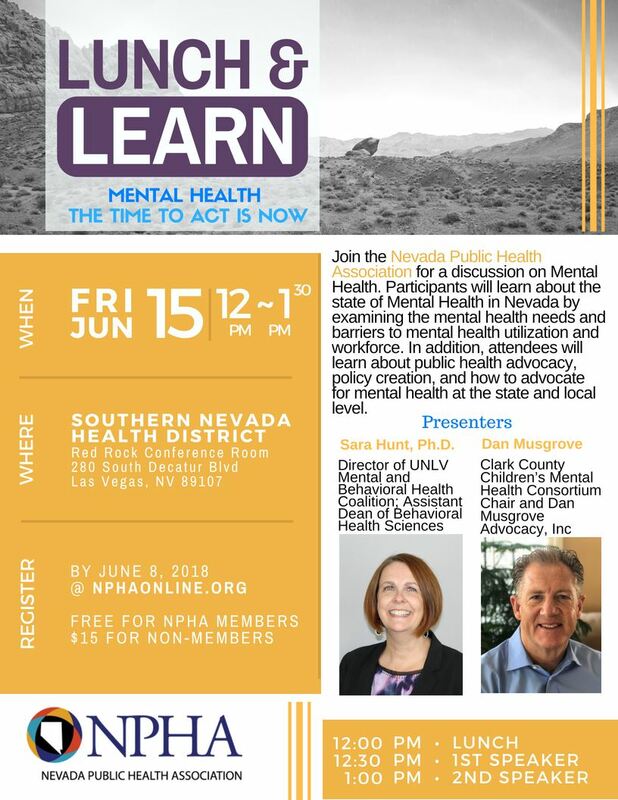 Join the Nevada Public Health Association for our next lunch and learn: Mental Health: The Time to Act is Now. Participants will learn about the state of Mental Health in Nevada by examining the mental health needs and barriers to mental health utilization and workforce. In addition, attendees will learn about public health advocacy, policy creation, and how to advocate for mental health at the state and local level.